Will 2018 be Social Media’s Most Influential Year for Festive Shopping? 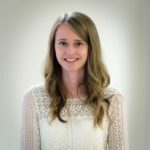 2018 has been one of the biggest years for developments in the social media space so far, especially in the realms of ecommerce. In the last few months alone — and just in time for the festive period — we’ve seen Instagram upscale and roll out its shopping capabilities with the ability to purchase via tags in Stories, and Pinterest has just made millions of Pins shoppable, with up-to-date pricing and information. With this shift in focus, it’s no wonder social media’s role is no longer merely “social”. As the key platforms gain momentum in the ecommerce space, could this year’s festive shopping period be social media’s most influential so far? As part of a bespoke study, we asked 2,200 internet users in the UK and U.S. questions around the role of social in purchasing behaviors this holiday season. Here’s what we found out. Social media will play a role in gift purchasing this year. 3 in 10 strongly agree that social media will play a role in their gift purchases this holiday season. This rose to almost 4 in 10 among millennials, which isn’t surprising given that use of social media is now universal among this generation. With ‘to get ideas for when I next go shopping’ and ‘to get inspiration for gifts’ motivating just under 50% to follow brands on social media in the first place, it’s clear many are on the lookout for inspiration while browsing their feeds – good news for brands hoping to leverage their following to drive sales in the next few months. 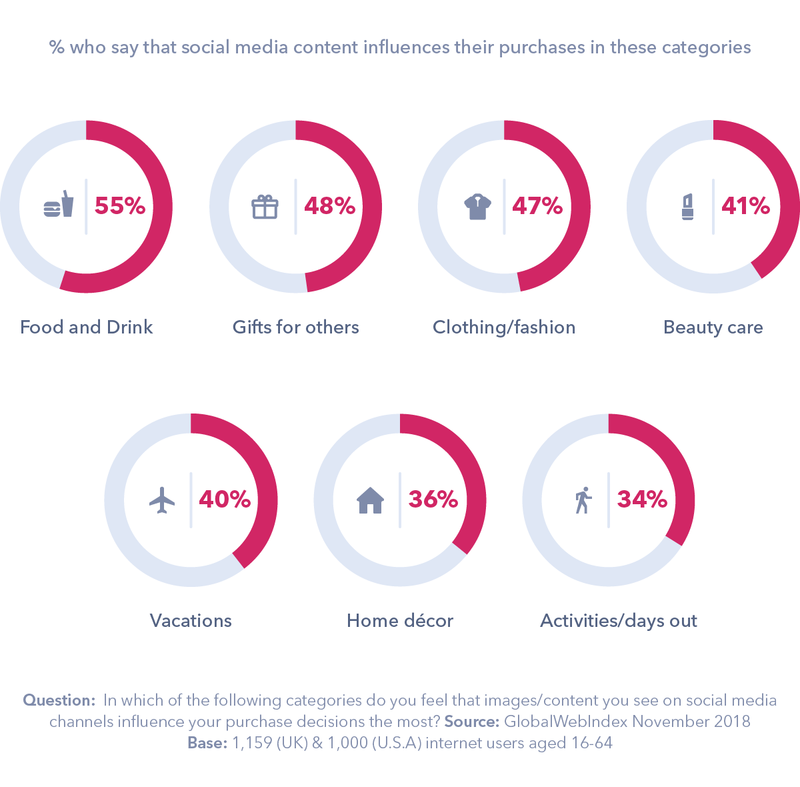 When we asked consumers where social media content most influences their purchase decisions, food and drink emerged as the top category, followed closely by gifts for others, again showing how content can truly influence consumers’ gift-buying decisions. Targeted ads are still most impactful to build awareness. It’s not news that the digital ad space is crowded, or that ad-blocking is on the rise, with frustration driving the trend. But when we asked consumers how they’ve discovered new brands or products on social media, direct targeted advertising from the brand emerges as the most impactful for all age groups, influencing at least 1 in 2 across the board. This traditional digital advertising tactic will already be a staple in festive strategies, but this only affirms its future success. The competition for the best Christmas ad in the UK – to be watched across media channels – has become fiercer in recent years, with consumers eagerly awaiting storytelling tactics from the biggest retailers on the British high street. In 2017, John Lewis’s Christmas ad reached 20 million views on Facebook and YouTube within the first three days of release, for example, and the company’s 2018 ad reached millions online in its first 24 hours. The strength of influencer marketing as a channel for spreading brand awareness also shines through, especially among millennials. 54% say they discover new brands or products through sponsored posts with deliberate promotion, 53% via recommendations on social media, and 41% through celebrity posts. This reiterates the fact that a one-size-fits-all approach simply won’t work. A mix of traditional social advertising, alongside word-of-mouth marketing and influencers, will be the best strategy to guarantee engagement this Christmas – all with the target audience in mind. Marks & Spencers is one UK brand that’s hoping to succeed this Christmas with a cross-channel strategy. 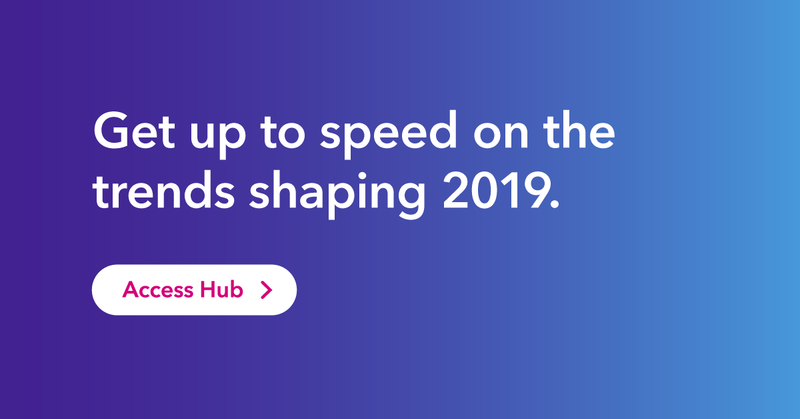 Aside from its yearly television spot, this year the brand has moved forward with a mobile-first mind, including shoppable Instagram posts and programmatic ads. And this social strategy is going to be especially key for online only retailers who can’t rely on in-store discovery. A third of social media posts are converting. So, we know that social media acts as a point of discovery and inspiration, but where do consumers head next? When we asked, it was the more traditional, one-stop shop experiences that consumers continue to favor after discovering brands/products on social media. As many as two thirds say they’ve completed a purchase on Amazon, while 4 in 10 prefer the physical store. Click-throughs inserted into posts on social media, linking to the brand’s website or to products displayed, are a great way to close the loop on the consumer journey – and they’re a win-win for everyone. 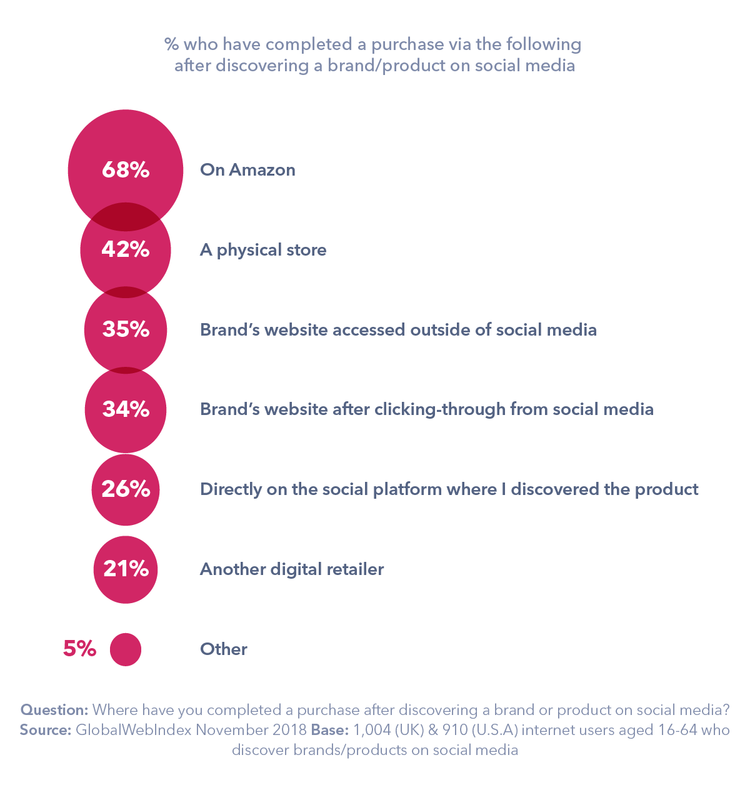 A third of those discovering brands on social media say they’ve clicked through to purchase. As the opportunities to buy products within social platforms are still limited, it certainly says a lot for the future of native social shopping that a third of those discovering brands on social media have made a purchase there. Facebook, in particular, has made headway with its shopping-enabled ads across its platforms. Privacy concerns pose a barrier to social commerce. The perceived security of this purchase method is a hurdle to overcome, though. Among those who say they wouldn’t be happy to buy directly on a social network, 30% don’t feel confident with the security of these purchases, and 25% are worried about what will happen to their private/payment data. And with 20% saying they don’t see the value when there are other alternative places to buy online, it’s clear that proving the value of social media as a purchase channel is likely to be an ongoing challenge. There’s no doubting the continuous importance of offline retail during the festive season, but as shopping becomes increasingly digital, social media is set to have a bigger impact than ever around this festive season. The key for brands is to build out a solid social strategy that capitalizes on social media’s growing commerce initiatives. After all, we know social media can impact every stage of the purchase journey – from gift inspiration and discovery all the way through to completing a purchase – it’s just about connecting the dots.